The results of a research-project carried out to determine heavy metal concentrations, organic matter contents and some edaphic characteristics in agricultural topsoils in Spain are presented. A short methodological description of the sampling and analysis and a preliminary analysis of results are also included. 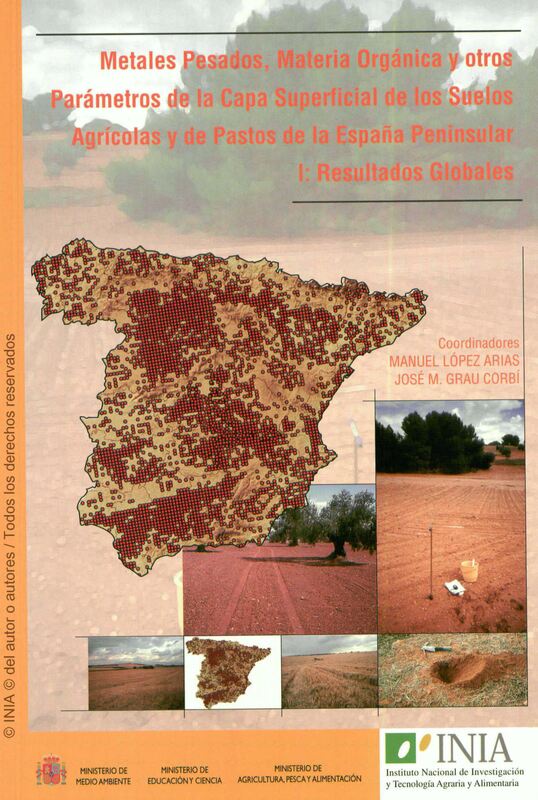 Covering the entire Spanish peninsula, from 2001 to 2003, a plot was selected from each 64 ha of crop surface area or from every 128 ha of pasture surface area, extracting a compound sample of 19 or 21 subsamples from each plot. The following seven heavy metals (Cd, Cr, Cu, Hg, Ni, Pb and Zn) were determined in each sample extracted by aqua regia digestion, and oxidized organic carbon, pH, electrical conductivity, carbonates and granulometric composition were also determined. On the agricultural and pasture land included, 3669 sampling plots were selected and 2713 of these were analyzed. Heavy metal concentrations in agricultural topsoils in Spain can be considered to be low or moderate, with a few outlier values at around 3% at the upper limit (for Pb) and some values that exceeded the limits stipulated in RD 1013/99 which range from 7.7% for Ni and 0.1 for Hg. Organic matter contents are low, with values for more than half of the samples below 1.7% (a little less than 1% of organic carbon). However most pH values are basic (more than 50% are above 8). This book was added to our online catalog on Tuesday 11 December, 2012.